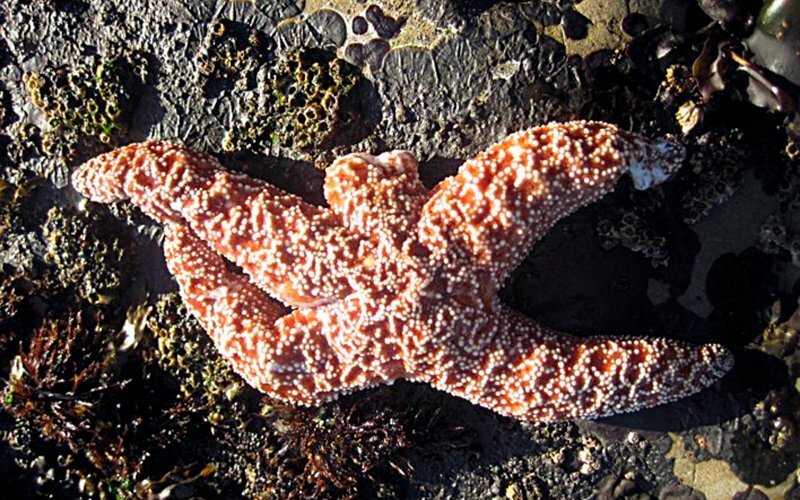 Starfish wasting disease seriously reduced the west coast's population of starfish. This crucial member of the ecosystem's absence has contributed to collapse. Urchin populations are booming, and kelp forests have been depleted. Researchers have found signs of hope, however, and there are a record number of baby sea stars this year! After whole populations of starfish along the West Coast were decimated by a wasting disease over the last two years, researchers in Oregon and Northern California are finding that droves of baby sea stars are returning to the shores. Data collected by Oregon State University researchers since 2014 showed an unprecedented number of baby sea stars survived during the summer and winter of 2015. "When we looked at the settlement of the larval sea stars on rocks in 2014 during the epidemic, it was the same or maybe even a bit lower than previous years," Oregon State University Marine Biology Professor Bruce Menge said in a statement. "But a few months later, the number of juveniles was off the charts -- higher than we'd ever seen -- as much as 300 times normal."